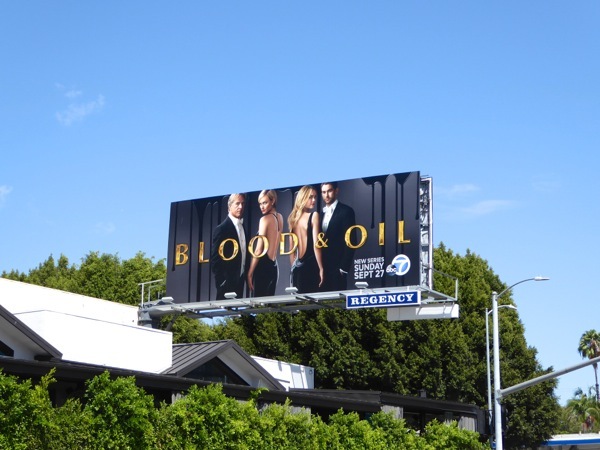 Once simply called Oil, ABC renamed the series Blood & Oil, probably to add a bit of family drama and to probably make it sound more interesting than a drilling operation, or greasy hair show. 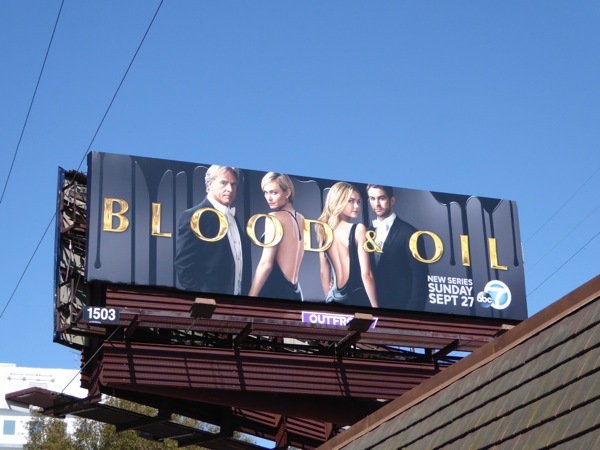 But maybe what the show should really be called from the looks of these series launch billboards is 'Rich White People'. 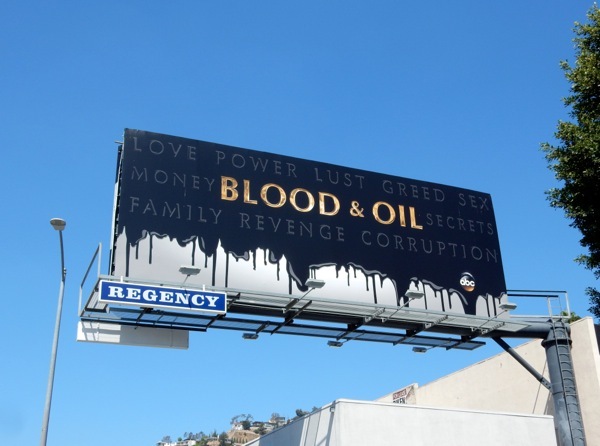 Obviously hoping to fill the Sunday night void left by Revenge and its soapy scheming and dastardly plot twists, Blood & Oil boasts some familiar faces including Miami Vice's Don Johnson as a ruthless oil tycoon and Amber Valletta (in all her Revenge-y glory) as his wife. 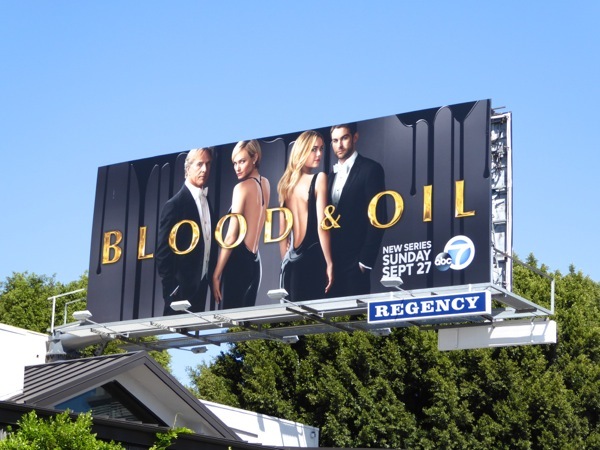 Meanwhile Gossip Girl's Chace Crawford and Rebecca Rittenhouse are the young married couple hoping to strike it rich in this North Dakota boomtown drama. 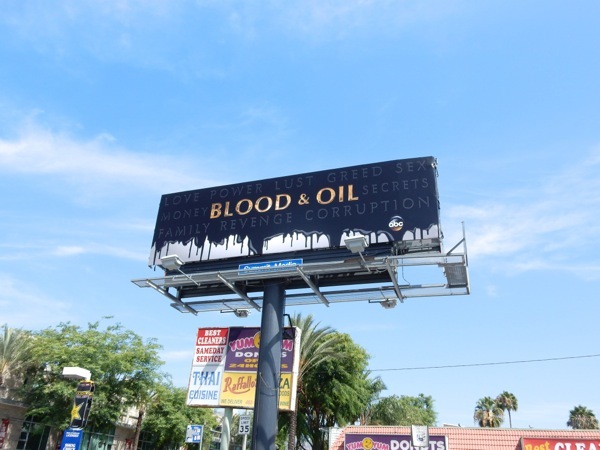 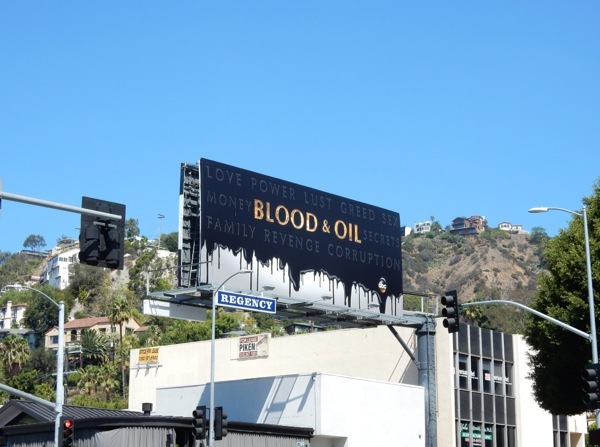 The teaser billboards for Blood & Oil were first spied along Highland Avenue on August 3 and later along Sunset Boulevard, whilst the series premiere reveal billboards were snapped along Venice Boulevard on August 27, plus above Wilshire Boulevard and along Sunset Boulevard through September 6, 2015. 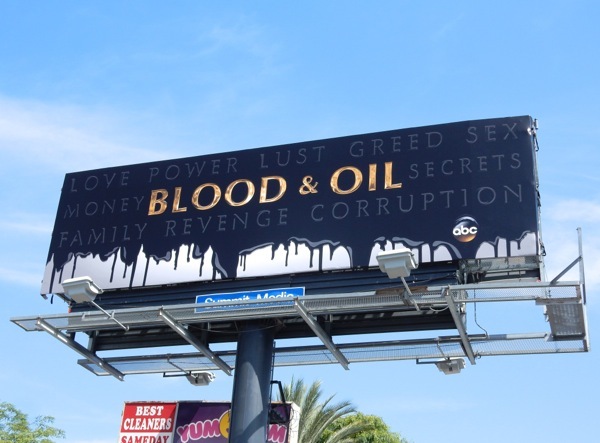 Can ABC's new show bring the sexiness, the secrets and the backstabbing (not to mention the slaps in the face) in the grand melodramatic tradition of Dallas and Dynasty? 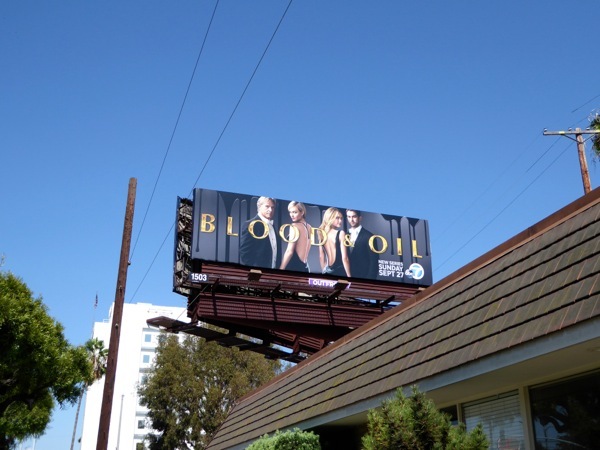 TNT recently resurrected Dallas only to have the revamped show bow out after three seasons, so can Blood & Oil strike the big time, or will it be a big oozing mess. 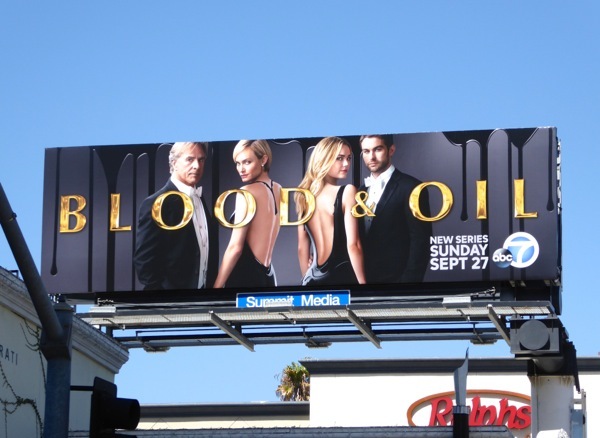 Tune in tonight and find out.